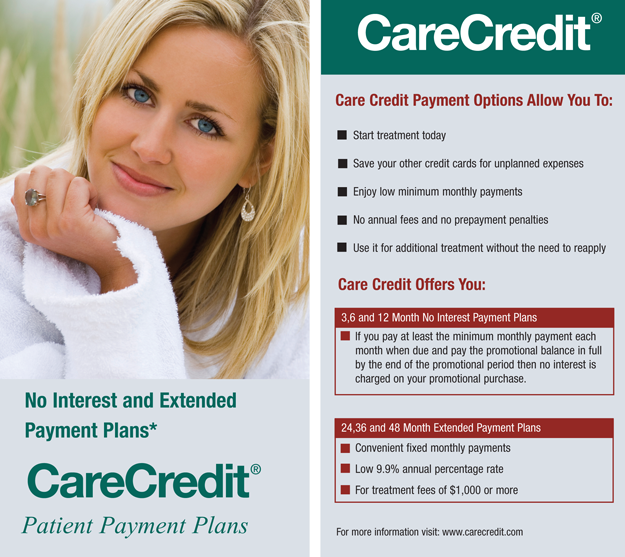 Care Credit offers Special Financing and low monthly payment options, no up-front costs, and no prepayment penalties so you can get what you want when you want it. The Care Credit credit card designed to help you finance your health, beauty and wellness expenses by providing a way to pay for the treatments and procedures you want — for yourself and your family — right way (subject to credit approval). Looking for Care Credit provider in The Woodlands, Spring or Houston Area? Call (832) 653-0100 or Click Today to Schedule Your Free Consultation.